KANSAS CITY, Mo. (AP) The Chiefs have activated cornerback Steven Nelson from injured reserve, where he has been since training camp, and he could make his season debut Monday night against Denver. Nelson had core muscle surgery just before the start of the season. The Chiefs’ defensive backfield has been shredded in recent weeks, allowing more than 400 yards passing and three touchdowns to Derek Carr in a 31-30 loss to Oakland a little more than a week ago. 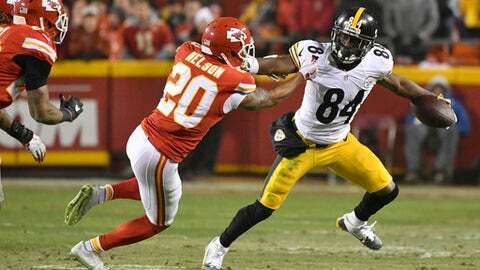 Nelson started 15 regular-season games and the Chiefs’ postseason game last season, making 65 stops and 16 pass breakups. He can play on the outside opposite Marcus Peters, replacing Terrance Mitchell, or more likely will handle slot duties in place of Phillip Gaines.